Finance Ideas 4u: Gadgets vs Mutual Funds: Where should you invest more and why? Gadgets vs Mutual Funds: Where should you invest more and why? Money is a commodity you certainly cannot survive without. You may have various sources of money, but how you choose to use it depicts whether you’ve utilized the value of money to its full potential or not. Regardless of the amount of money you have in hand, you should always plan to spend some and save some. Many of the individuals are tempted to spend a lot more than necessary when they have exposure to significant amounts of money at any given time. With the increasing advancement in technology and frequent launches of new gadgets, this just adds to the temptation. The launch of the Apple iPhone series took the world by storm and it was just the start of a more technological advanced era. Almost everyone gravitated towards the idea of a Smartphone having a multi-touch screen as the user interface. However, one thing they ignored was its cost and the financial impact it would have had on their other more important expenditures. As long as you have planned your expenditures, which would mean that you have included the cost of any particular gadget you wish to buy, spending on gadgets will not impose any threat to your financial security. Just like you plan your expenditure, you should also plan your savings. You should set out a certain portion of your total monthly income for your savings. Amongst many other ways, the best way in which you can achieve greater value for money is by saving your money in mutual funds. There are a wide variety and styles of mutual funds that can be accessible to you. You may choose the one that is best appropriate for your requirements. Basically, mutual funds are a type of investment in which a certain group of investors assemble their money and appoint a portfolio manager. 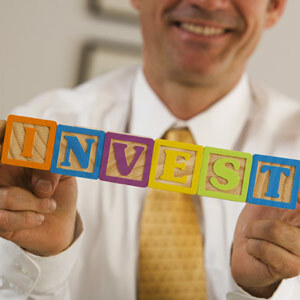 The manager in turn invests these funds in bonds, stocks or any other investment securities. The manager obviously charges a fee for his services but keeping in view the rewards those investments undertaken by him may bring, the fee may not seem to be that big of an amount. Mutual funds can be an efficient way of investing your money if you are planning to save money for your retirement, education or any other financial goals. Gadgets and mutual funds are in complete contrast to each other. While the value for money held in mutual funds increases over time, the value of gadgets depreciates over time. Purchasing any gadget requires a massive investment initially as the purchase price and then in subsequent periods as repairs, if required. Over time, gadgets depreciate in value as you continue to use them and if a new version of the same gadget is launched in the market, it depreciates even more. If you go on to sell your gadget, you may at times have to settle for less than half the price. Though, some of the gadgets are way too expensive, their cost can be completely justified with the features they have. However, one does not necessarily need to buy these expensive gadgets; instead they can settle for their cheaper alternatives. For instance, there are many alternatives of Smartphones to those of Apple iPhones, though with obvious differences in quality and extensive features. Many of the individuals tend to get carried away with these gadgets and the added features each new version launched in the market has, to an extent that they might even continue to spend on them completely ignoring their personal financial situation and stability. Even worse, they might even end up being in heavy debt. However, if such a situation arises, the individual should be alert of the consequences this can have on him and his dependents, if any. Before anything else, you should first learn how you could settle credit card debt. Though, spending on gadgets is not a bad idea completely, but it should not be over-excessive. There are some people who are gadget enthusiasts and want to possess every new gadget that is launched in the market. However, if you are already facing credit card debt issues, it would not be wise for you to continue spending on these expensive gadgets instead you should learn how you could settle credit card debt first. The above article is composed by Sarah. She is associated with finance related companies as their freelance writer. In her free time she writes articles related to finance and saving money. She always recommends people to learn how you could settle credit card debt.